Abuna Salama, Metropolitan of the Ethiopian Orthodox Church. Henry A. Stern, Wanderings Among the Falashas in Abyssinia (London: Wertheim, Macintosh, and Hunt, 1862) p.137. 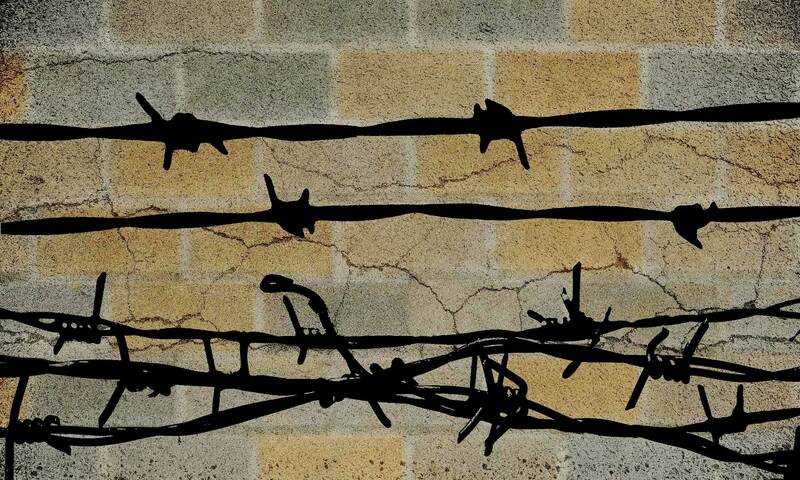 This does not mean that African Christians have not had experience of prison. Here are a few of their stories. • In 1821, a thirteen-year-old African named Ajayi was captured by Muslim slavers. Sold six times, the British navy eventually rescued him from a Portuguese slave ship. He went on to become the first African-born bishop of Nigeria, having taken the name Samuel Ajayi Crowther. During a visit to Niger in 1867, he was seized by a village chief and held for ransom, his second experience of captivity. • One of Crowther’s flock suffered a more cruel imprisonment at the hands of fellow Africans. This was Joshua Hart, who had renounced idols to worship God. Arrested on his way to church, he was tortured and ordered to participate in idolatrous rites. When he refused, his captors bound him hand and foot and threw him into a stream. Praying for God to forgive his persecutors, he was stabbed to death with a sharpened pole. 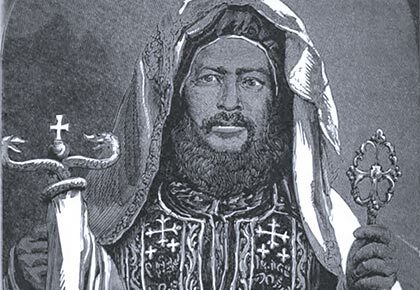 • In 1867, Abuna [Head] Salama of the Ethiopian Orthodox Church (shown above), died under arrest. He had antagonized Ethiopia’s emperor Tewodros, who imprisoned him and restricted his movements to a solitary village where he died of bronchitis. • Prince Kaboo was captured by a rival tribe in 1887 and held hostage so that his tribe would bring monthly tribute. Displeased at the amount brought, Kaboo’s captors beat him. During one of these beatings the boy saw a bright light and heard a voice telling him to run. His ropes fell off and he escaped into the Jungle. He made his way to a mission station, learned what he could, then worked for passage across the Atlantic to train for mission work. Known as Samuel Morris, he brought spiritual renewal wherever he went during his short life. • Joseph Kimbagu died in a Congolese prison in 1951. During an epidemic he had received a vision ordering him to preach and heal. At first he fled the heavenly summons. When he finally obeyed, reports said he healed many people. His fame spread rapidly. So many Africans were drawn to him that religious and secular colonial figures became alarmed. Plantation owners and Catholic priests called for government intervention. Kimbagu was arrested and condemned to death, but King Albert of Belgium commuted his sentence to life imprisonment. Kimbagu remained imprisoned until his death thirty years later, disobeying prison authorities only to share his food. A widespread and influential church named for him emerged in the Congo. *Two conspicuous exceptions were Olivier Messiaen, who produced music rather than literature while in a concentration camp, and the unnamed Inspector of Forests who gave away his precious Bible, winning a soul, while being transported to a Russian prison camp. 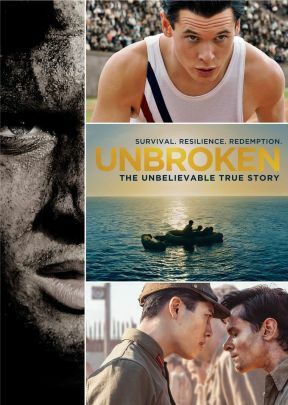 Unbroken is the inspiring true story of American World War II hero Louis Zamperini. It is a story of stamina and courage in the face of cruelty. Louis Zamperini survives in a raft for forty-seven days after his bomber was downed in World War II, and was sent to a series of prisoner of war camps.